Hello I’m Kate, pleased to be on Elle’s blog!! I write over at Coffee Sugar Lemonade and spend 99% of my life thinking about, writing about or eating food!! I’m here to talk about something incredibly dear to my heart, burgers. The foodstuff I say I couldn't live without. Quite genuinely, if I were to eat one food for the rest of my life it would be a burger - cooked medium-rare with strong cheese, a few pickles and a good wallop of ketchup and mustard. Simple. Easy. I had to think really long and hard about this list. I even revisited a few places to make sure I’d got it just right. 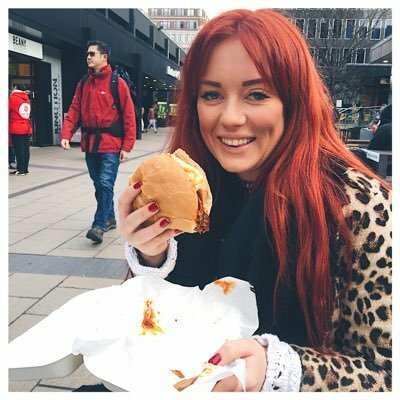 So here it is, my definitive top 5 burgers. Ever. I hold these old bars dear to my heart as I've been visiting since I was a teen. Now, I never said this list would be meat only, which is why my number five is a veggie burger from the Odd Bars. Shock horror I know! 8oz of spicy Moroccan chickpea goodness with rocket, tomato, onion, chilli & coriander salsa and tzatziki all on a toasted brioche bun served with perfect sweet potato fries. It’s honestly the best veggie burger I’ve ever eaten and something all of my vegetarian friends rave about. With three locations across Manchester City Centre you’d be silly not to visit. Honest do good, proper burgers. They’re miles ahead of any other larger chains (GBK and Byron spring to mind) and have a solid price point. For me the Cheese Burger with onion relish is my go-to (simple tastes! ); it’s the rosemary chips that are the winner here for me though. Whilst the burger is a solid 8/10, the chips are pretty flawless… and what’s a good burger without great chips! When you want something big and ridiculous, Solita is the number one venue. 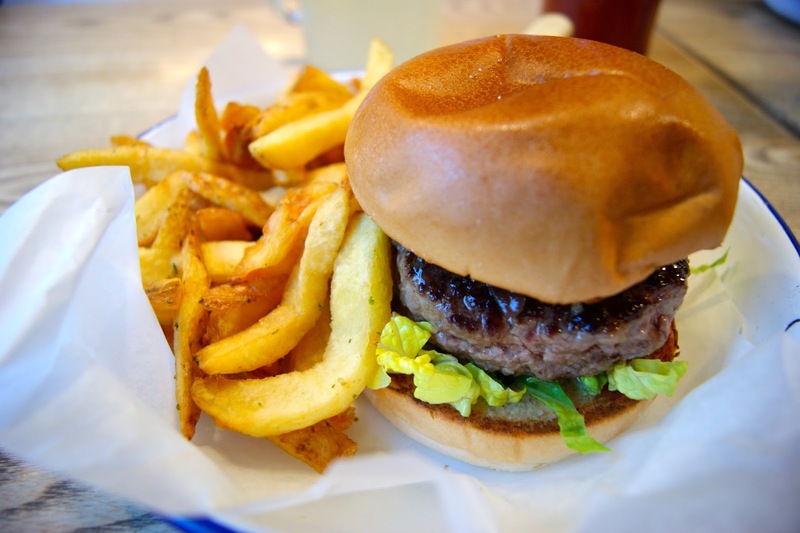 Their burgers are Lancashire born and bred, as they tend to source locally. It’s the ‘Manc-Hattan’ that pulls it out of the bag for me; oven bottom Lancashire muffin, pastrami, melted Lancashire cheese, panko fried black pudding, Lancashire sauce, Coney Island mustard. It all sounds far too much but let me assure you, you won’t look at black pudding the same way after you’ve had it bread-crumbed and deep fried! The burgers here are indeed a heart attack waiting to happen, but what a way to go! Take a look at the menu if you dare. If you have space, make sure to have the peanut butter ice cream and brownie, you might have to share though. 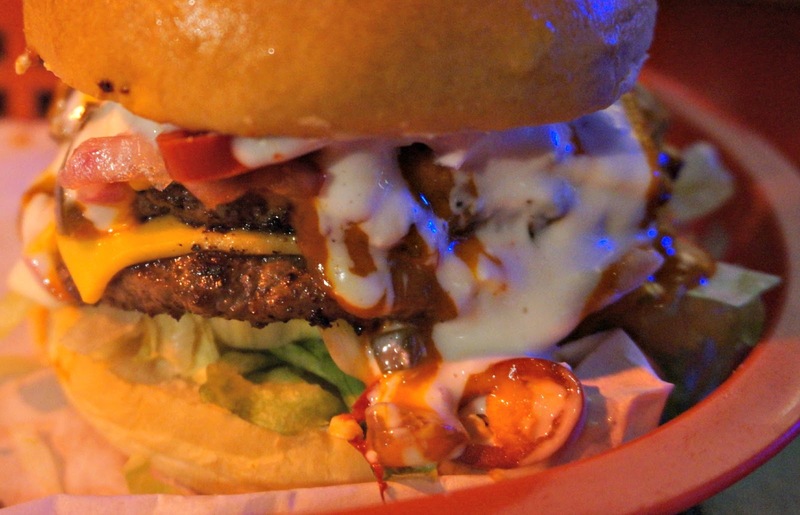 Originally a pop-up, Patty and Bun has carved a reputation as a real burger supremo. 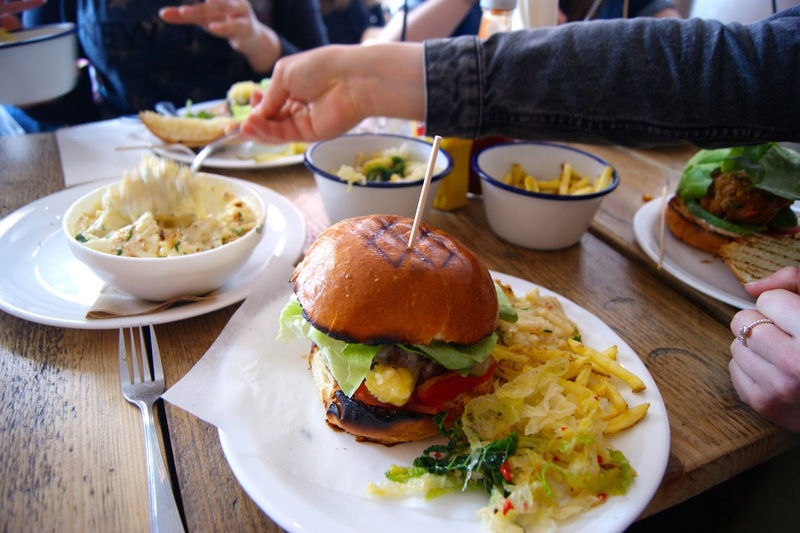 Now with three locations across London it’s juicy burgers with high-quality (usually British) ingredients have accrued a real fan base. The signature ‘Ari-Gold’ is the perfect size to pick up and take a huge chunk though the glistening cheese, juicy meat and light as air brioche bun. I’m not a mayo gal but have been assured their smoky mayonnaise is the perfect addition to a top-notch burger. The only issue I have here is the price tag and the fact that there’s often a queue. I don’t queue for burgers! You’ve read a lot to get here, but it’s worth it, I can assure you. The Advisory in Hackney hands down sells the best burgers I’ve ever eaten. I could throw every superlative in the book at this paragraph to attempt to describe just how much I love this place and I wouldn’t even be close! Their Cheese Burgers (free-ranges rare breed Longhorn beef) are the star of the show for me but they also have amazing shrimp po-boy, veggie and chicken options too. Let’s not forget the flawless sides – giant onion rings, poutine, spicy greens and crispy, thin, well-salted fries. Did I mention they do breakfast too!? To make it even better, a burger and sides is less than a tenner. It’s embarrassing to say but I rave about this place so much they gave me a loyalty card (for friends of the establishment!). Get yourself over to Hackney and prepare to be bowled over. With that, I’m over and out. Thank you Lauren for having me. Ok you've got me excited about the Advisory. Looks amazing! Great guest post.